The challenge with the healthcare industry is its size. The amount of data generated by thousands of medical professionals and millions of patients is unimaginable. What makes this even more complicated is that data isn’t organized in one single system. Instead, it is scattered across many databases; this makes it difficult for doctors and patients to access and find the best solution to a medical issue. If you’re looking for a dentist to perform some orthodontic work, do you know if dentist A at clinic C is cheaper than dentist B at clinic D? How do you know which clinic is both close to your location and can perform the procedure at a competitive price that fits your wallet? One prominent non-profit healthcare system set out to tackle precisely this issue. Based in Grand Rapids, MI, this large healthcare organization (hereafter referred to as B Hospital) originated as a hospital, and grew into a large system of 11 hospitals, 170 ambulatory and service sites, 1,200 employed physicians and advanced practice providers, an insurance company (hereafter referred to as R Insurance), and a 590,000-member health plan. In 2014, the organization was named one of the nation’s 15 Top Health Systems® by Truven Health Analytics. As B Hospital grew, so did the need to create customer-oriented tools that educate patients on their health status and medical options. The organization’s internal development team started working with a third-party to create a patient portal for customers to make appointments and view lab results, medication prescription, billing reports, health and insurance info, and clinical records. They also wanted to create a single portal where patients could access and use a cost estimator to compare prices of various procedures. The development team working on these projects quickly ran into problems. First, the patient portal was lacking aesthetically, dramatically over budget, and behind timeline. B Hospital attempted to create an early version of this tool but it was not available to all patients and suffered from a bad user interface (UI) and poor aesthetics. 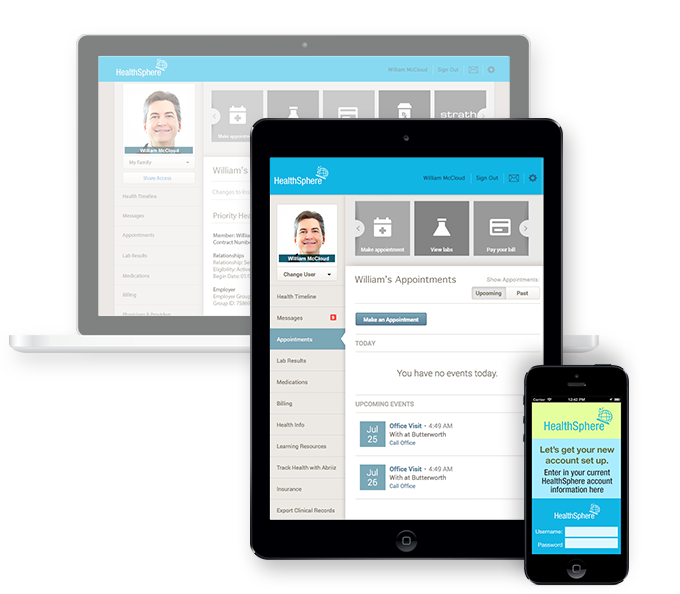 Additionally, because there was a third-party company developing most of the patient portal, the organization felt that they didn’t have as much control over the project as they wanted. Ultimately, they wanted all projects to be brought in-house and developed under their roof, and not by a third-party. Second, no one had ever created a cost estimator that could and would aggregate all of the data of the procedure prices, doctors, clinics, and facilities into one single system. It proved to be a daunting project that required handling an immense amount of data. No one was certain it was possible and couldn’t quite envision what the end result would look like. 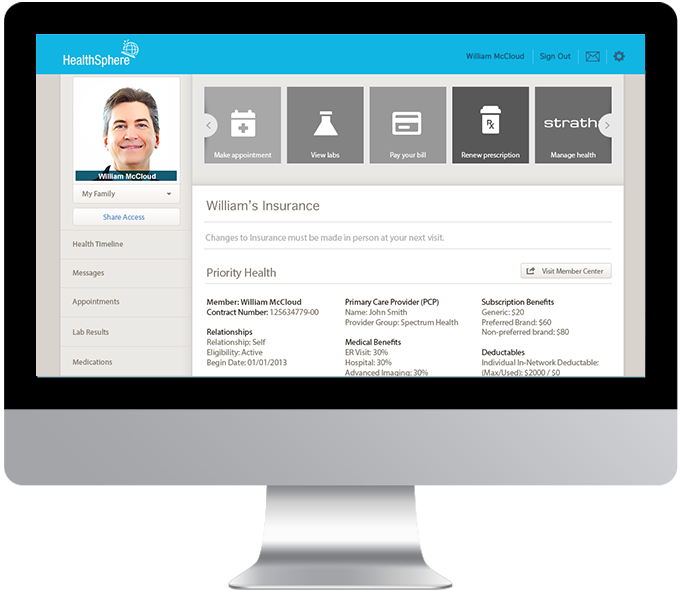 Take over and develop a front-end for their patient portal project, where customers could view their medical information, make appointments, see their insurance information, and export clinical records. Bring R Insurance’s cost transparency and cost estimator tools in-house under B Hospital’s roof and recreate the UI to be much more user-friendly. Additionally, these tools should be open to all patients. Our primary objective was to bring to reality B Hospital’s visions of the patient portal and R Insurance’s cost transparency and cost estimator tools and develop them in a way that was aesthetically modern, user-friendly, and within budget. This web-based portal not only gives patients easier access to their own medical information from anywhere at any time, it also encourages them to take a more active role in their health and wellness. Doctors can now interact with patients online to more efficiently deliver medical results, health and insurance information, and billing reports. This solution not only saves customers time waiting for medical results to be mailed, it also saves doctors and medical staff the time taken to answer these report requests amidst their numerous other responsibilities. Because of this success, we were asked by B Hospital to help develop R Insurance. R Insurance’s cost transparency and cost estimator tools were previously thought to be impossible because of how much data from different sources it had to aggregate from. But because of our close integration with R Insurance’s team and through strong communication skills, Logic was able to understand the scope of their ideas, suggest solutions, and deliver a successful product. The cost transparency tool is currently live and open for member use. Another R Insurance tool, the cost estimator (also previously called a cost calculator) was a completely new project with no previous versions. It features a responsive design and more information than the cost transparency tool. Users can search for specific procedures, and select a doctor and/or facility. Procedure costs are given a rating on a green-yellow-red scale expense level as compared to other facilities or doctors. However, the tool also cautions customers that although there is a cost comparison scale to give them a sense of what a good competitive price is, there may not be a correlation between quality of service and the price of the procedure. The projects were successful because of Logic’s strong development team and communication. When B Hospital’s own internal team exceeded their patient portal budget, Logic was brought in to help develop a solution that came in on time and under budget. “Seven months ago a small team of developers from Logic Solutions joined my new team,” said a Web Development Analyst at B Hospital. “As you know sometimes offshore developers can have pros and cons. After a month I realized that the team was special. With [Project Manager] as the liaison between myself and the team we were able to come up with a great system [to keep] the offshore team on task in spite of the large time difference. B Hospital was so happy about the success of the projects that the company allocated funds to allow Logic to continue to make enhancements to the new tools. This close collaboration demonstrates how well Logic understood the needs and scope of the project, and Logic’s objective to put the client and the success of their business first. “The bottom line is that we [were] able to achieve the team’s motto of ‘developing cutting-edge web tools to enhance member’s and patient’s healthcare experience’,” said the Web Development Analyst. And that is what Logic aims to do.